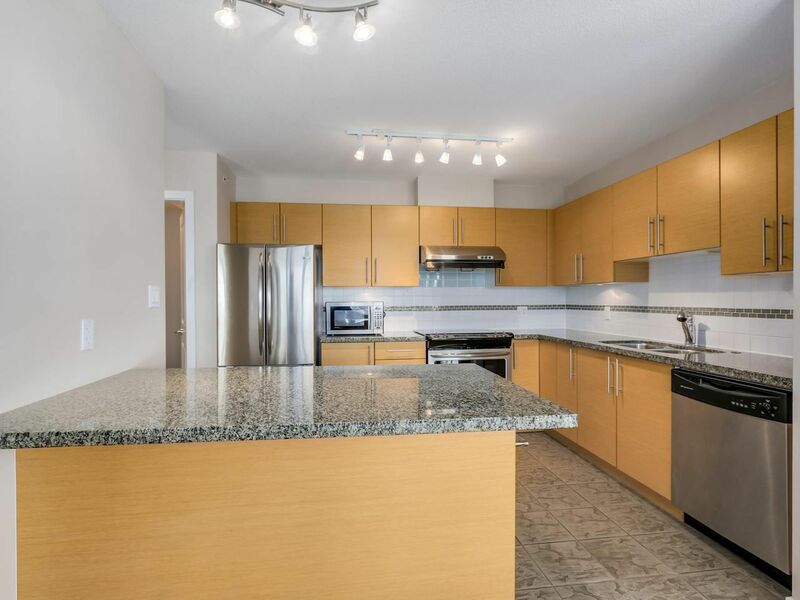 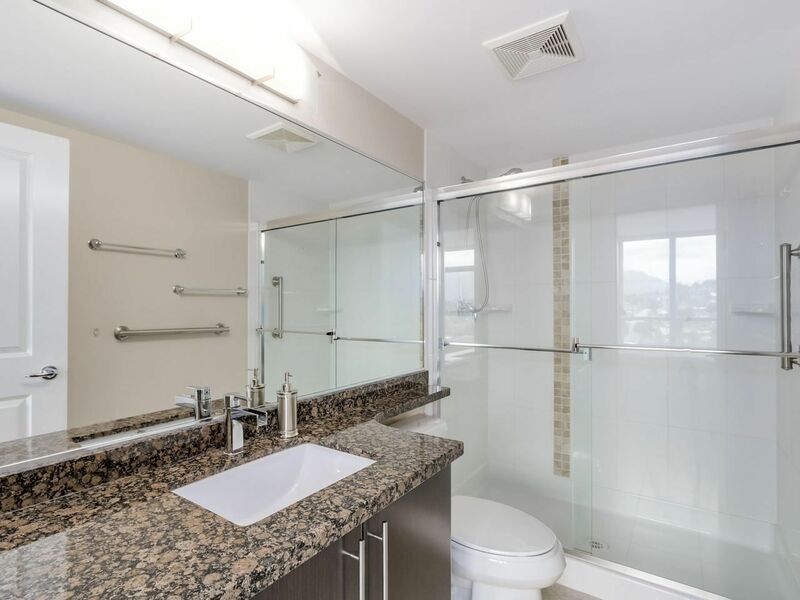 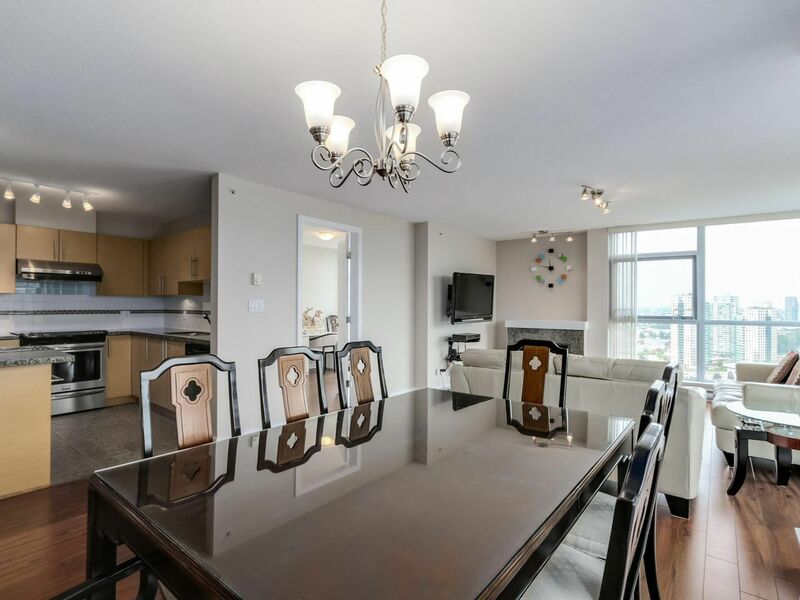 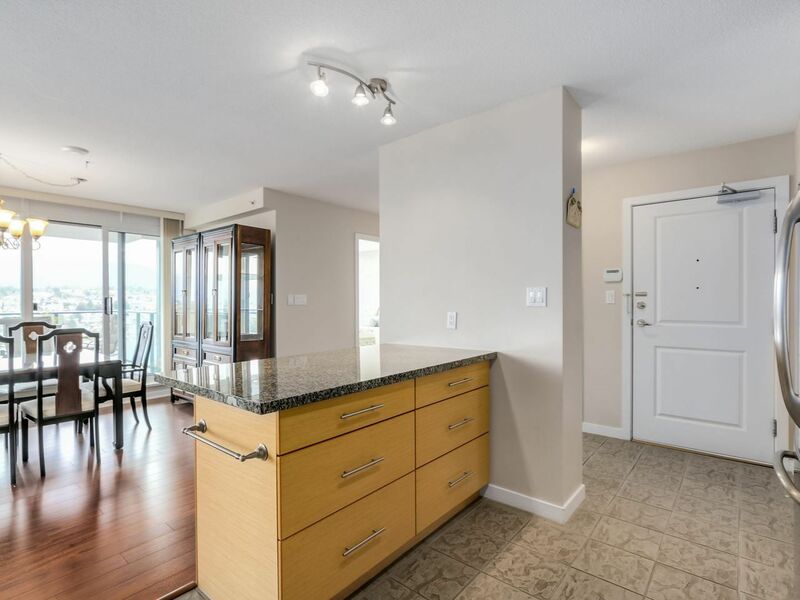 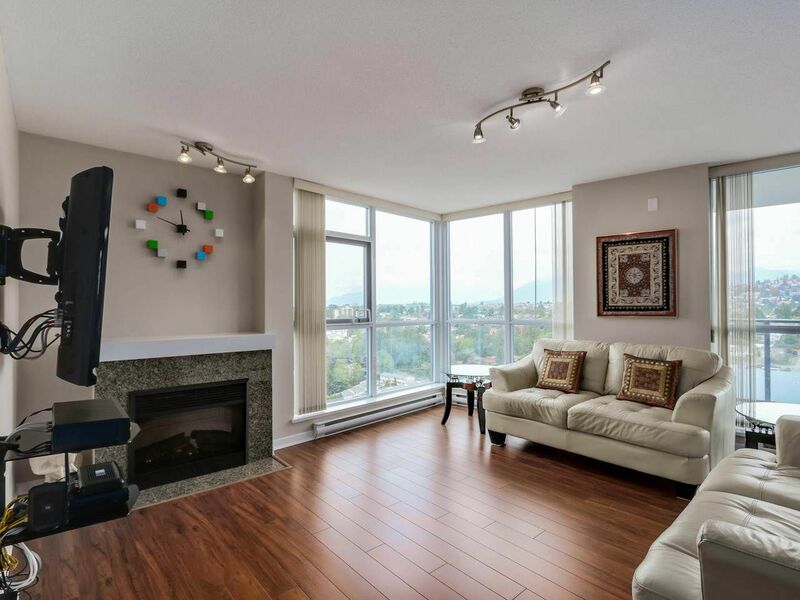 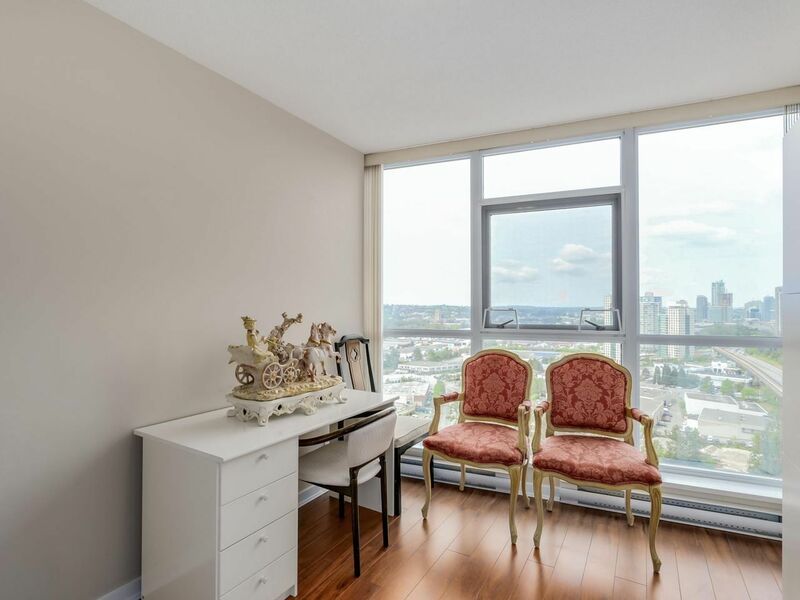 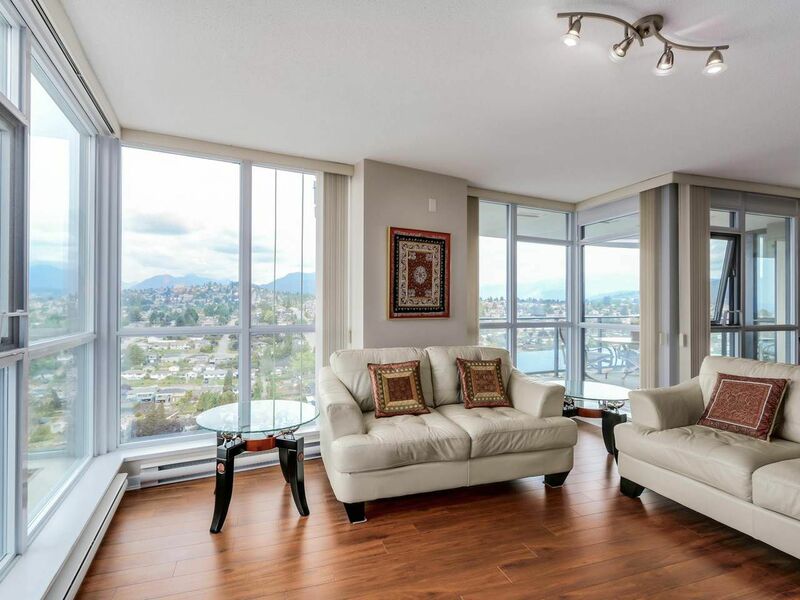 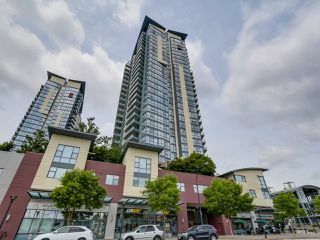 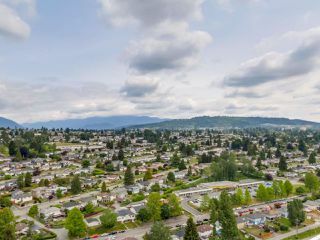 Location and breathtaking views make this 2 bedroom and den corner unit with 1409 square feet living space one of the most sought after floor plans in the building. 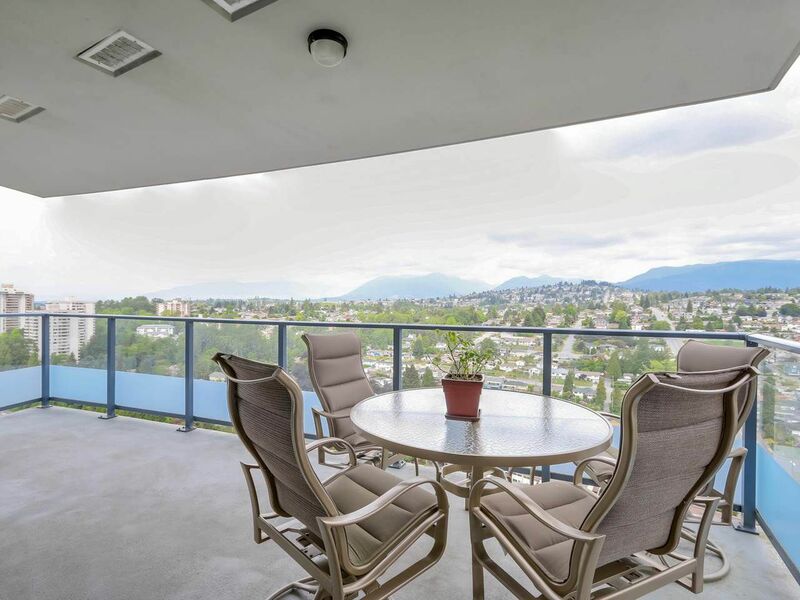 Enjoy beautiful sunsets from your living room or spacious balcony. 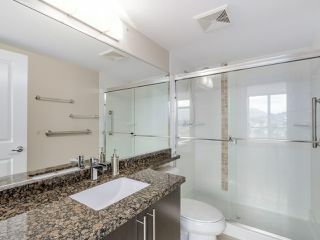 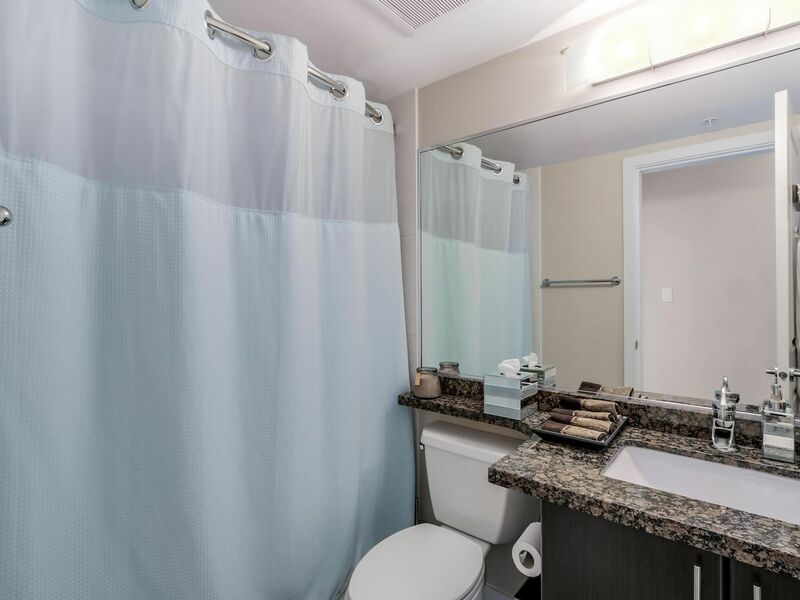 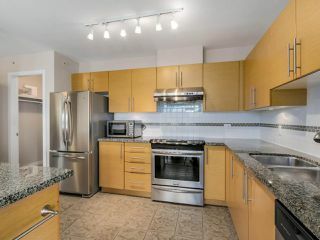 Unit has been completely renovated with granite countertops in kitchen and bathrooms, s/s appliances, hardwood flooring and more. 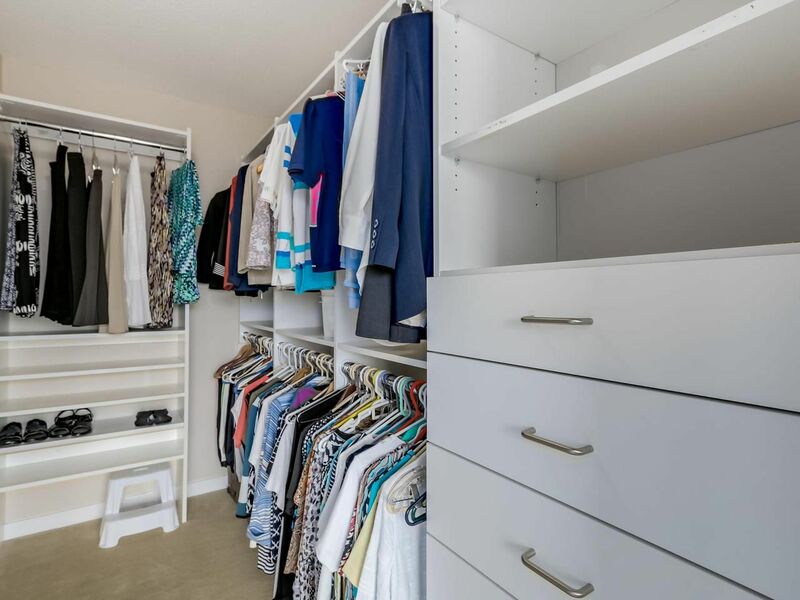 Two side by side parking spots and storage locker. 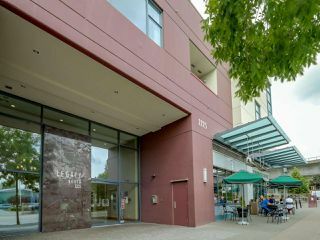 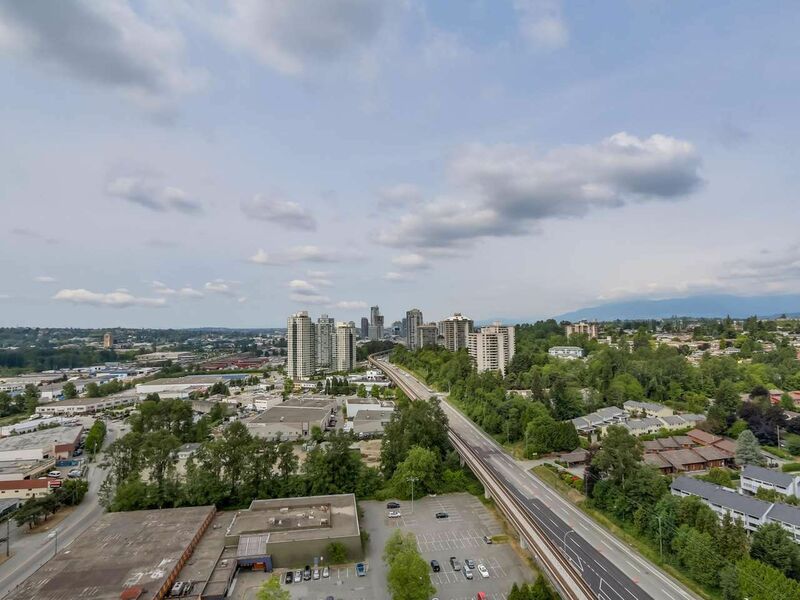 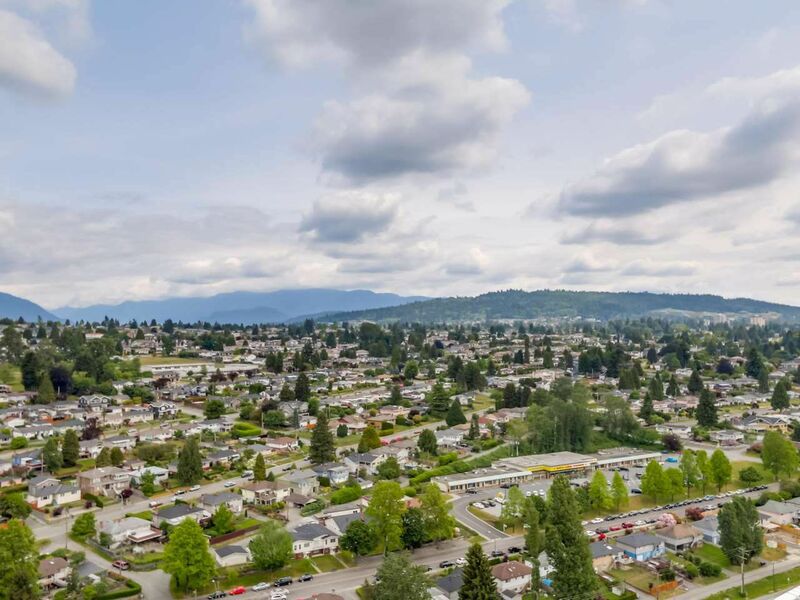 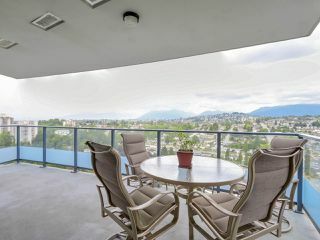 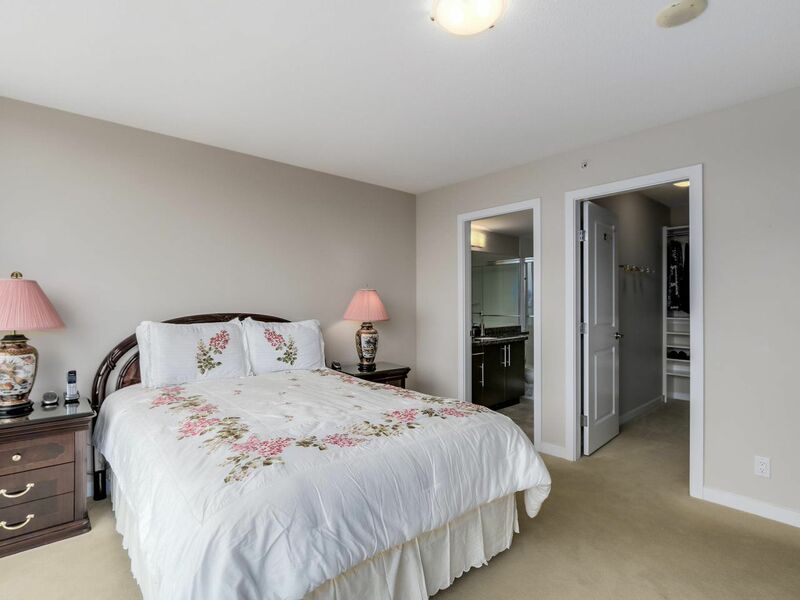 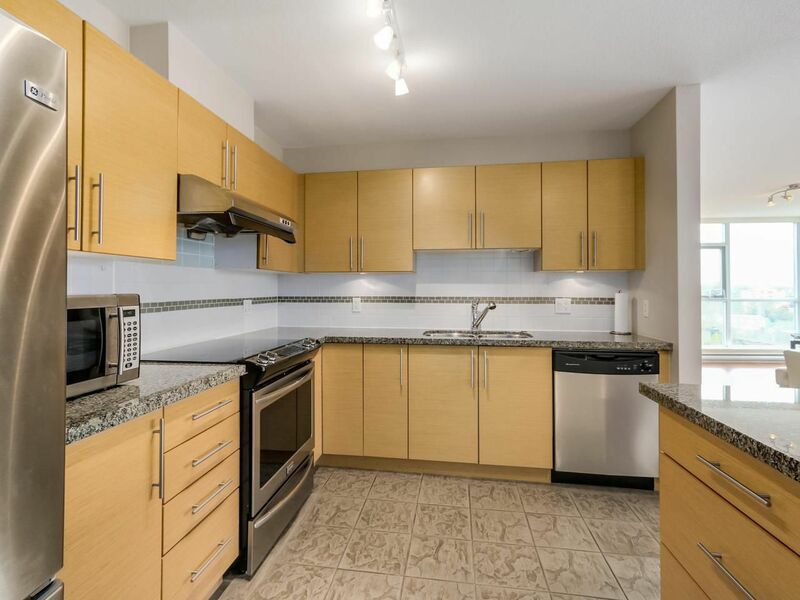 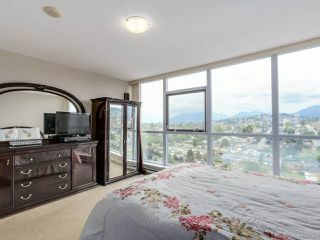 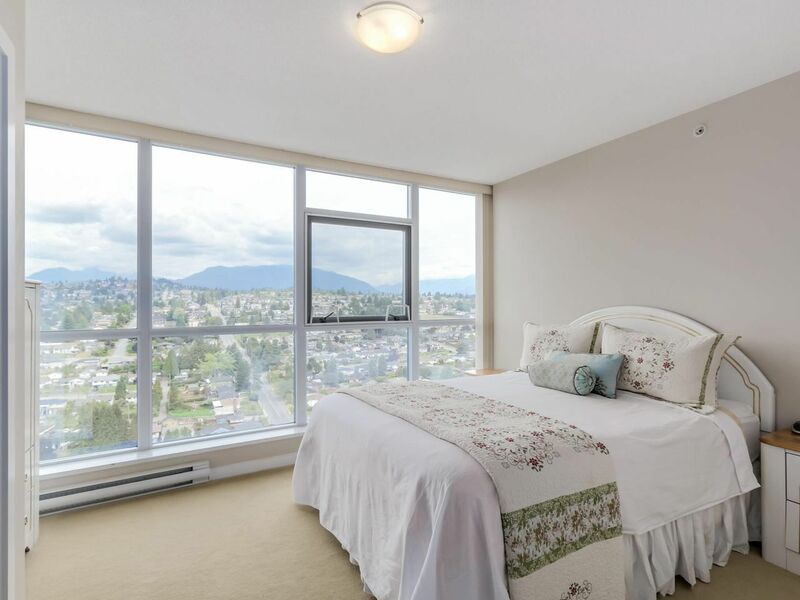 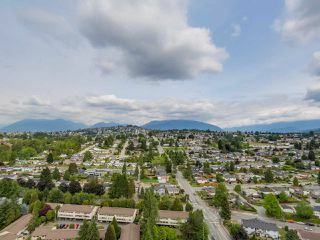 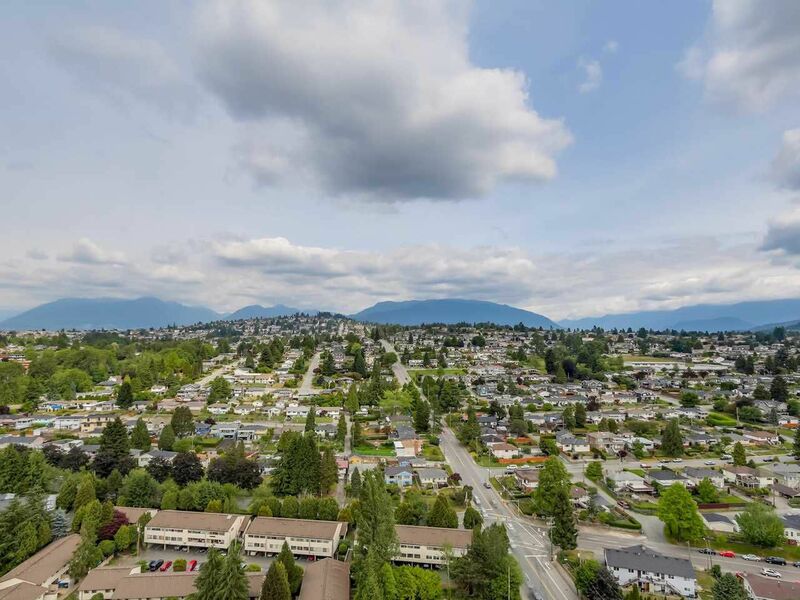 Conveniently located with skytrain just steps away. 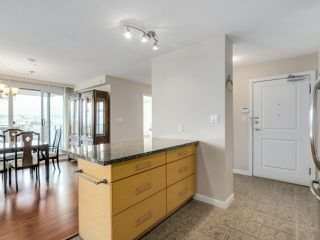 Open House: Thu 03/26 & 3/27 4pm to 6pm, Sat 03/28 & Sun 03/29 2pm to 4pm.